Motivational Speaker Andy Hickman understands the importance of growing in the midst of change… which is why he is one of the most highly sought after speakers by Fortune 500 companies in America. Prior to receiving the highest earned designation from the National Speakers Association, the Certified Speaking Professional, Andy owned and operated three businesses simultaneously: a real estate development and construction company, a property management group, and a mortgage/finance organization. His varied background in business provides him a unique understanding of what it takes to succeed. In today’s unpredictable marketplace, one of the keys for a successful organization is found in the ability of its employees to adapt quickly to change. Andy’s background in the business world has helped him in developing keynote and breakout sessions that will not only affect attendees in their work environment, but also encourage them to examine what is truly important in their personal lives. As a professional illusionist who has worked with David Copperfield’s “Project Magic,” Hickman combines a life-changing message with illusion, humor, and entertainment to deliver a powerful presentation. Andy is an inspiration to people of all ages, challenging them to see that the future is in their hands even in the midst of change. An organization that focuses on personal growth will see its employees making sound corporate decisions based on solid priorities. Andy believes that building strong relationships at home and at work is vital to experiencing growth in both personal and professional arenas. Even in the most customer-sensitive organization, employees need to be inspired to deliver excellent customer service, because in today’s marketplace, good customer service just isn’t good enough. Although he has enjoyed the privilege of addressing thousands of audience members throughout the world, perhaps his greatest honor was delivering the Keynote Address to the survivors of the Oklahoma City bombing. In addition to entertaining these brave people, Andy brought them a message of hope and renewal. As author of the book titled, Stuff That Really Matters – Establishing Priorities for Your Business and Your Life, Andy reveals the secret to creating the future that you’ve always dreamed of… through wise choices made and commitments honored. 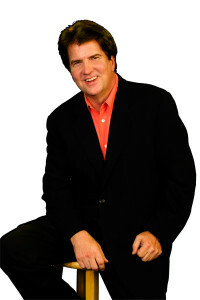 Andy has also co-authored, Humor Me, a collective work from America’s top humorists.